How Do You Perceive Teaching? Is Teaching Your Thing? 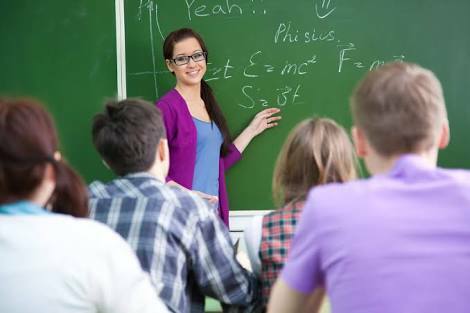 Is teaching your thing or do you love teaching as a profession? Today, I will be talking to teachers and potential teachers. Teaching is never considered as a good job in this part of the world because of the general belief that teachers are given what is best described as peanut at the end of the month. This is not just a belief but a factual belief. What teachers receive as payment does not in anyway equal the impart they make on society. Consequently, many persons (especially youths) see teaching as a "no go area." Some of those who eventually dive into it, take it as a part time job while others only resorted to it after being beaten by the vicious hands of unemployment. However, this is where my passion lies. My passion lies in what my country pays less attention to. For me, my teaching prowess is spurred by passion. I see teaching as many Nigerians see oil company jobs. The truth of the matter is that "passion" can make you do a particular thing for a longer period without pay but not forever. It will get to a point when you will expect your passion to start yielding fruits for you. In fact, until you learn how to turn your passion into money, you will never improve it. It is only at that point that you will become more passionate about your passion; so it all boils down to money. The question is "can I actually make extra income from teaching, especially in this part of the world?" Who told you you cannot make good cash from teaching? Is that why you don't want to take teaching as a job? Is that why you've been feeding your students with half baked knowledge? The difference between "OYO" (a local restaurant) and Genesis, Kilimanjaro, Mr Biggs et’al is packaging. With packaging, you can make cool cash through teaching. You might be teaching in a private or public school but a well packaged teaching profession will flaunt you as a boss. Common spice your teaching profession with innovations! Make it global! Get students from far and near and even online! Thank God we are in a period where technology is at its peak. Until you learn how to package your teaching profession, you will never be satisfied. Remember, many persons want to blog today because they feel Linda Ikeji is making cool cash through blogging. In a country like this, where teachers are seen as paupers as as result of the injustice they get from their employers, can't you counter such stereotype by becoming the "Linda Ikeji" of the teaching field? I see teaching as a profession with numerous benefits and I know you can teach but you never want to take it as a job because of this stereotype and the country you find yourself. Very soon, I will be telling you how my monthly income has only become an additional income because of the way I package my teaching profession. It's all about packaging.